In 2000 Frank Bond, the founding Chairman of the Eton Wick History Group published Their Names Shall Be Carved In Stone. It is a book about the 34 men who were killed in the Great War or World War 1 as it is now called. These particular 34 men called Eton Wick their home and are the men whose names are remembered on the village War Memorial. 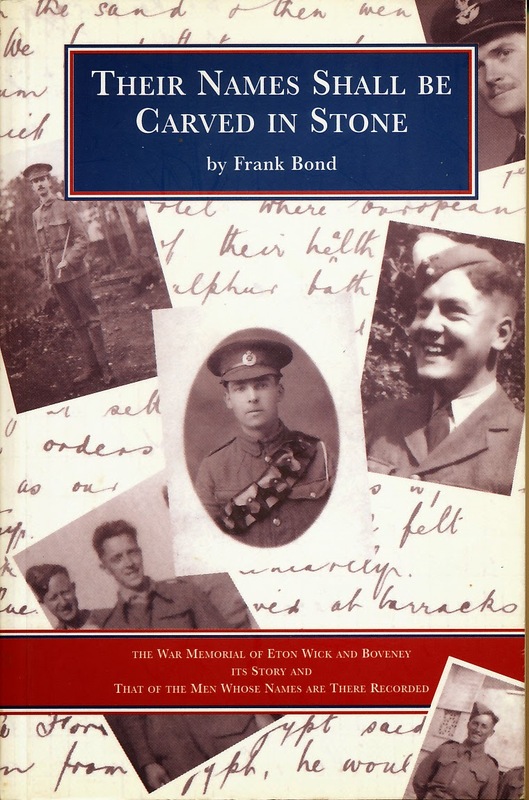 Their stories show that men from Eton Wick served and died in many of the theatres of war where the British Army and Navy saw action during World War 1. Three men died in 1914 and their stories will appear over the next three months. The remaining 31 will published on the 100th anniversary of their death.